The trailer for Godzilla: King of the Monsters is well worth a watch. It’s full of kaiju… or titans are they’re called in the clip. There’s also a hint of King Ghidorah, perhaps Godzilla’s most established foe. There’s no mucking around with this official poster released for Comic Con. Christopher Shy’s work has the three-headed dragon in full on tackle mode. There’s the suggestion that the battle is at sea or, at least, over the remains of a city with few lights left on and rolling darkness covering it. The majority, though, is cloud and lightning filled sky. When is Godzilla: King of the Monsters out? 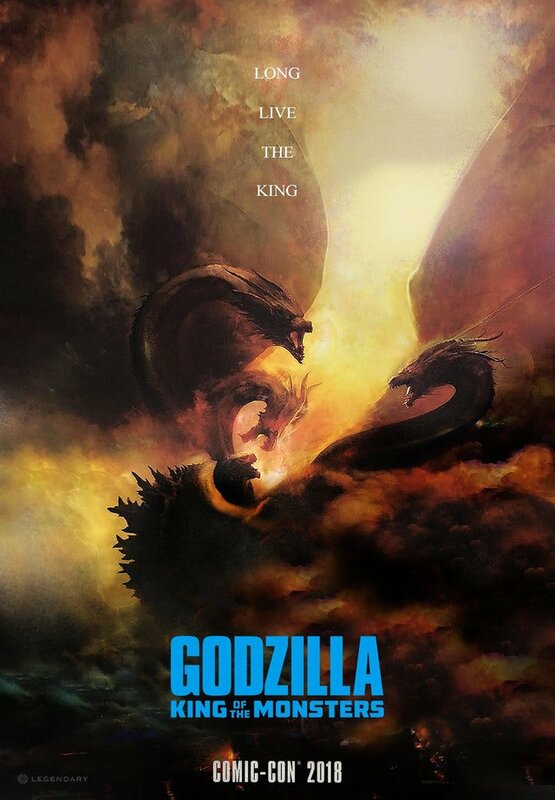 Godzilla: King of the Monsters is due out next year so there might be some wriggles left in the date but we can ballpark. Back in 2014 the scheduled release date for the film was in 2018. In the United States the release date is currently 31st May. IMDB suggests it’ll be out much earlier in Sweden and Portugal, in March.